Yesterday, Lisa Weltman, Socialist candidate for Michigan Board of Education, stated her intention to pursue legal options related to an incident at Ford Field. 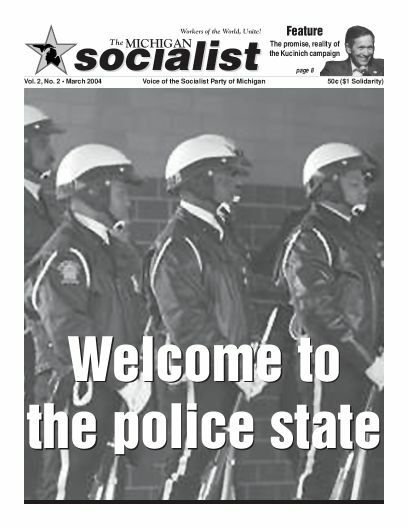 Weltman, along with Socialist candidate for Michigan State University Board of Trustees Ben Burgis and two other members of the Socialist Party, had been at the stadium on May 1 petitioning and distributing campaign literature during the annual Enrollment Day for the Detroit Public Schools. While Weltman was talking parents about the current budget crisis and how it could be resolved if certain tax breaks were repealed, she and the other Socialists present were informed by Jennifer Joubert, Chief of Community and Public Affairs for DPS, that they were not allowed to distribute campaign literature and had to leave the premises. As they were leaving, Weltman and her companions were accosted by a supervisor of Ford Field security who identified himself only as “Mr. Smith.” Smith called them a “threat to the Detroit Public Schools” and told them that if they did not “cooperate” they would be reported to the Dept. of Homeland Security in Washington, D.C. This incident took place in front of several witnesses. 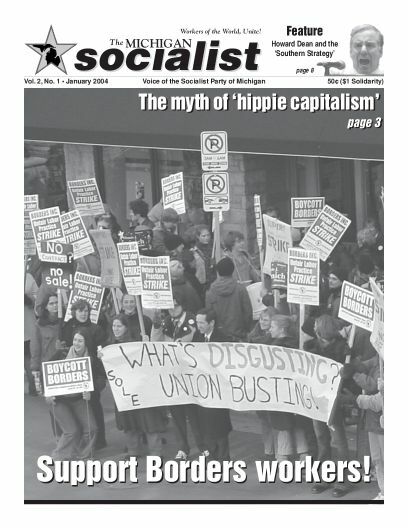 Martin Schreader, Chairperson of the Michigan Socialist Campaign Committee and Weltman’s campaign manager, called the incident “inexcusable” and vowed to support her pursuit of legal recourse. Schreader said that the MSCC and Weltman’s campaign committee have already contacted legal counsel about steps to take in relation to this incident. The Socialist Party of Michigan condemns in the strongest way the Bush Administration’s collaboration with right-wing death squads to carry out ‘regime change’ against the popularly elected government of Haiti. We call upon all working-class, left and progressive organizations to join with us in protesting against Bush’s decision to send the Marines to Haiti and in demanding that all American troops stationed outside of U.S. borders be brought home alive without delay.